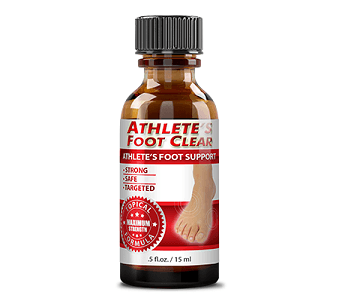 Fungal infections like athletes foot, ringworm and jock itch are are conditions that affect your skin and while these conditions are not considered to be a serious ailment, they can be hard to treat. This Puriya Wonder Balm review is going to take a closer look at the facts and details to learn more about this treatment and to see if it’s worth trying out for effective results. The manufacturer claims that their balm will combat skin infections that are caused by fungus, bacteria and yeast. Tea Tree Oil has been found to fight the fungus that causes athlete’s foot. Macadamia Nut Oil has been found to restore the skin’s barrier function and to reduce water loss which can cause skin to dry out. Canola Oil contains a high level of fatty acids which can moisturize your skin. Eucalyptus Australiana Oil has been known for centuries for its medicinal properties. It is commonly used as an anti-inflammatory and antibacterial oil. Vitamin C is a powerful antioxidant that can help treat skin damage. You are instructed to topically apply the balm two to three times a day to the affected area. Make sure to avoid contact with eyes. Stop use and talk to your doctor if irritation occurs. Talk to your doctor before using this balm if you are pregnant or nursing. We were unable to find any side effects associated with this balm. Check the ingredients before use to ensure that you are not allergic. 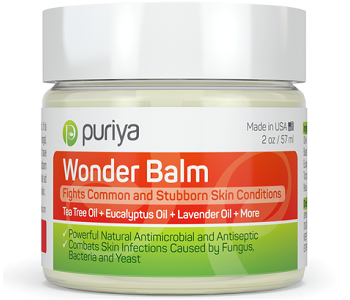 You can purchase Puriya Wonder Balm directly from the manufacturer or from third-party retailers. If you choose to purchase from the manufacturer’s website, one two-ounce bottle will cost you $34.97. There are no discounted bulk purchasing packages offered but that can vary according to the provider you purchase from. Puriya offers a lifetime satisfaction guarantee. If you do not feel that this balm has eliminated your infection and deeply hydrated or softened your damaged skin, you can contact their customer service to receive a full purchase refund. The consumer feedback we saw is mixed. Consumers reported that the price is expensive relative to what you get for your money. Another common complaint is that this balm is ineffective and does not work. Puriya Wonder Balm appears to be a promising product. It contains a variety of oils that have been shown to have the ability to treat skin conditions and it comes in an easy to apply balm. However, while the list of ingredients have been shown to have the ability to soothe skin, there is little research that has shown that the ingredients are effective in eliminating a fungal infection. Furthermore, the price per bottle is relatively expensive yet the manufacturer does not offer any discounted bulk purchasing packages to make it affordable to continuously take this treatment. You are better off choosing a fungal treatment that has effective ingredients and one that has affordable bulk purchasing options.